When it comes to the maintenance and preservation of beautiful green healthy lawns the key element is water. You need the right amount of water to ensure your lawns and plants thrive to the best of their ability. Effective landscape maintenance includes not only the lawns, plants and materials, but the underlying irrigation systems. 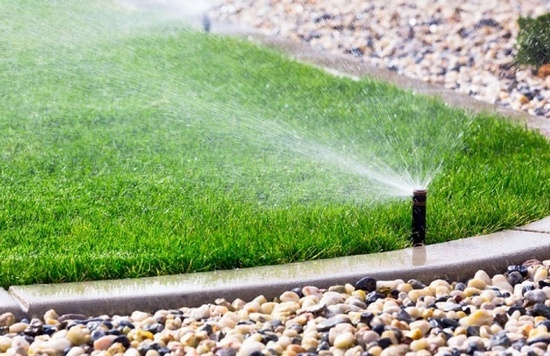 Whether you are planning to get a new sprinkler system or drip system installed, want maintenance on your current ones, need help understanding how to program your timer or would like anything repaired, we are more than glad to help. Abba Landscaping installs automatic lawn and garden irrigation systems which are custom designed for each specific property. Every system is unique to its property’s needs with regard to plant types and location. Sprinkler system design and installation. Sprinkler system winterization and spring activation.